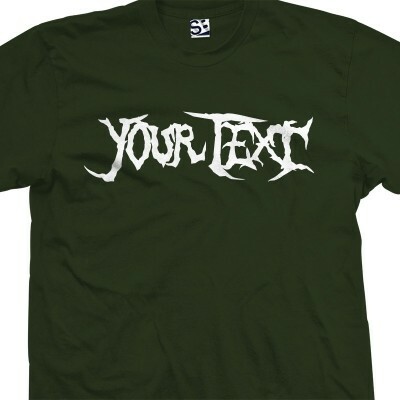 Design your own custom shirt with a heavy metal style font. You can personalize the text as well as the shirt and print colors. Available in multiple colors and almost every size imaginable. Ask us about combining this logo with another on the same shirt.